GALION — The Galion Historical Society’s Veterans Banner Project will continue this year and there is room for many more of Galion’s bravest citizens to be displayed. The Banner Project had a larger response last summer than the members and board of the Galion Historical Society could have anticipated. 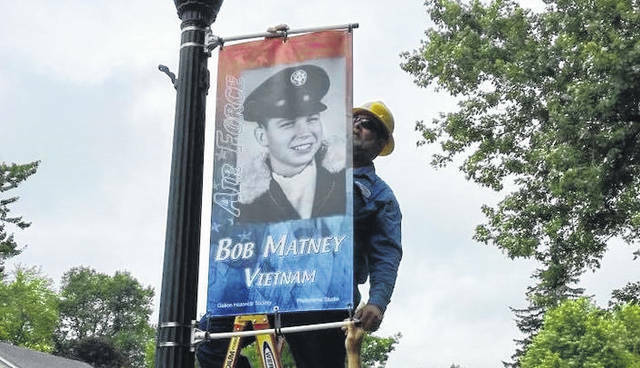 A total of 123 banners of Galion veterans and service members were displayed on street poles lining both sides of Harding Way East and West. Another sign-up is scheduled May 1 and May 2. According to the Galion Historical Society, community members will be able to register for the 2019 Veteran Banner project on Wednesday, May 1, and Thursday, May 2, from 6-8 p.m. at The Historic Grace Church, 130 W. Walnut St. in Galion. The Galion Historical Society asks that all sponsors bring a hard copy photograph of the veteran in uniform and the veteran’s basic military information for the registration form. The fee for banners this year is $47. All checks can be made payable to Photorama Studios. It is important that all photos given to the Historical Society are copies, as they will be kept and archived by the Galion Historical Society in efforts to preserve Galion’s military history. For more information, visit the Galion Historical Society website, or call the Galion Historical Society at 419-468-9338. Photorama designed and produced the banners last year and will be doing them again this summer. “Craig Alguire at Photorama did a great job last summer, and we are happy to be working with them again on this,” said Pickering. The banners themselves are $47, which is paid directly to Photorama, but funding is also needed to cover the cost of pole brackets, zip ties, and shipping for those items. In 2018, that cost was covered by the Galion Community Foundation and Galion American Legion Post 243. The historical society has applied for a grant to help offset those costs this year. All of the 2018 banners will be displayed again this year, but will move to posts in Heise Park. 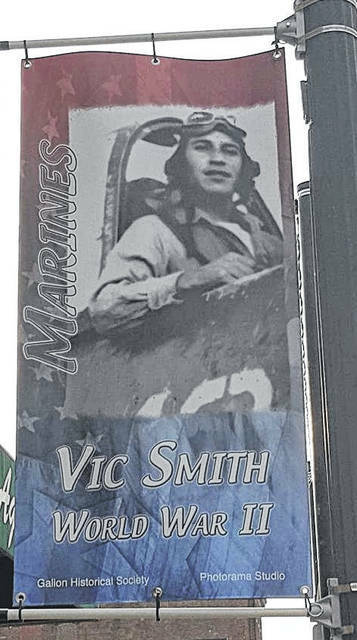 Veterans banners that are purchased new for the summer of 2019 will be placed along Harding Way. Banners are hung and removed with the help of the City of Galion Line Department. They will be up by July 4 and removed close to Veterans Day in November. Banner requirements are simple. The veteran must be either a Galion graduate, have attended Galion High School, or have been a resident of Galion. At this time, the Galion Historical Society is not accepting registrations for current service members for the project due to the overwhelming response they have received. Checks can be made payable to Photorama Studios. Credit cards will be accepted only during the registration nights in May. Anyone with questions can contact the Galion Historical Society Office at 419-468-9338.